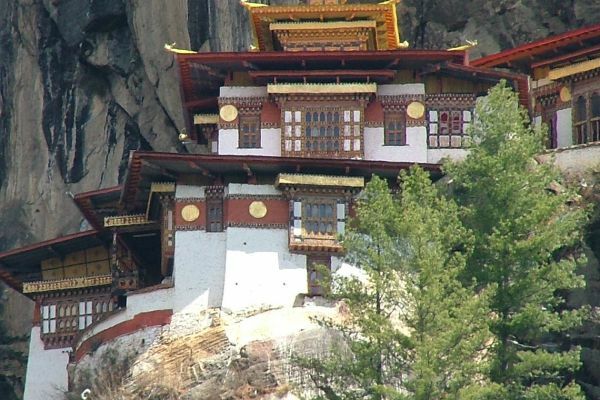 Bhutan, ‘The Land of the Thunder Dragon’, is the last independent Himalayan kingdom, a stronghold of Tibetan Buddhism, with a unique culture protected for centuries by its remote mountainous terrain and a self-imposed policy of isolation from outside influences. 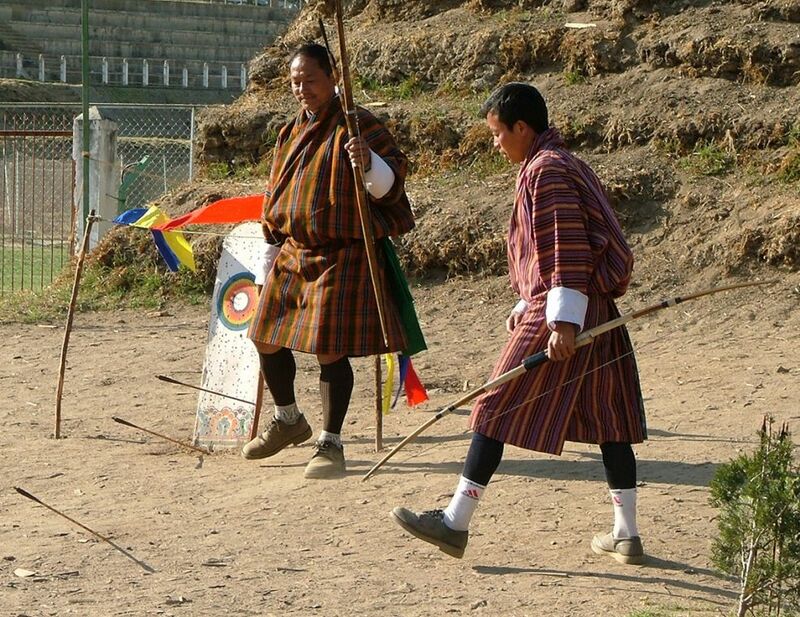 The opportunity to travel in Bhutan is a special privilege, restricted to a very small number of visitors annually. A magnificent panorama of Himalayan peaks forms the backdrop to vast undisturbed forests of hemlock, rhododendron and magnolia. Traditional wooden and stone-built villages are dominated by strategically-sited dzongs, the great mediaeval monastery/fortresses which safeguard Bhutan’s heritage. 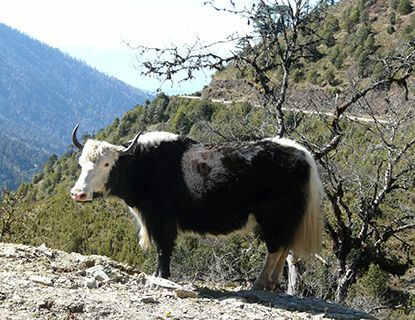 In autumn, there is the best chance to see the stunning views of the Himalayas that form the border with Tibet. We journey to the remote Bumthang and Gangtey provinces and witness the colourful festival celebrating the return of the black-necked cranes. 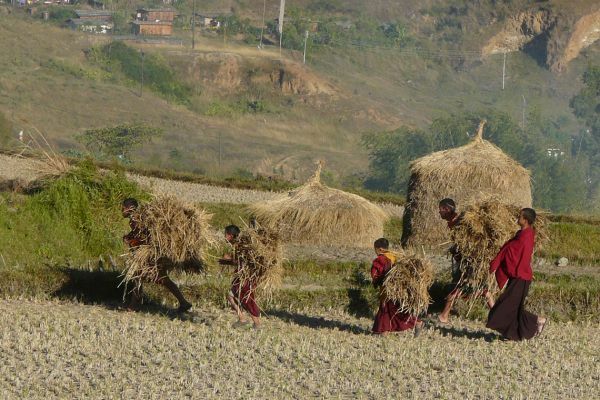 We stay in comfortable, atmospheric, traditional hotels, enjoy local cuisine, with an emphasis on vegetables, rice and noodles with mildly spicy sauces, and experience Bhutanese life in close-up on a series of forest, paddy field and easy mountain walks. A spectacular flight over the Himalayas on Druk (Dragon) Air brings us into Paro airport and a step back in time. Many people still wear national dress, oxen work the fields and the national sport of archery is practiced on flat meadows around the town. We explore a mediaeval watchtower housing the national Museum of Bhutan and the imposing fortress Rinpung Dzong, dating from 1645, before 1.5 hours’ drive takes us to Thimpu, the capital of Bhutan, and our hotel for 2 nights. The textile museum in Thimpu is worth visiting, as is the craft market and huge gold Buddha statue on the hillside. We wander through the atmospheric weekend market, where locals sell their vegetables, fruit and cheese, and visit the peaceful Changankha monastery. Following the sole, narrow paved road in Bhutan, we gradually ascend through chir pine forest to Dochu La (pass) at 10,450 ft, with 108 Buddhist monuments known as chortens and a breath-taking vista of Himalayan peaks. 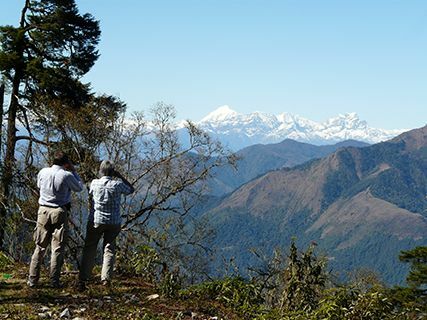 The forest becomes more luxuriant and the landscape wilder as we descend to Punakha (4,160 ft) on an afternoon walk down to the river, where white-capped and plumbeous water redstarts dart across the clear water. Our hotel for 2 nights is set in pretty gardens and enjoys panoramic views. We cross a narrow suspension bridge on foot to visit the enormous Pungthang Dechen Dzong, with its golden spires and busy monastic life, then walk through paddyfields up to the 15th century temple of Chime Lhakhang, encircled by small prayer wheels and dedicated to the legendary lama, Drukpa Kun-le, known as ‘the Divine Madman’. A spectacularly scenic drive takes us deep into central Bhutan, over the Pele La (11,000 ft) and down into Trongsa which boasts the largest dzong in the kingdom, the ancestral home of the Royal family. We visit the new Museum of the Royal Family, reached by an optional steep walk or a drive, and meet some very friendly monks before lunch. 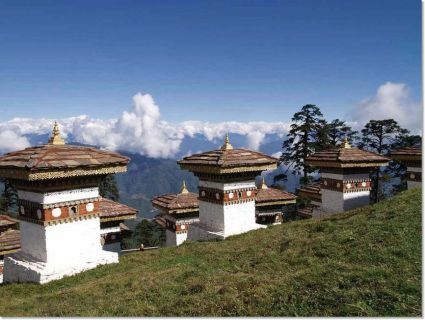 Crossing a final high pass, the Yotong La, we descend through stunning scenery into the glaciated Bumthang valley (8,450 ft), the cultural heartland of Bhutan, pausing en route to see traditional village weaving and to walk paths through superb stands of hemlock trees. 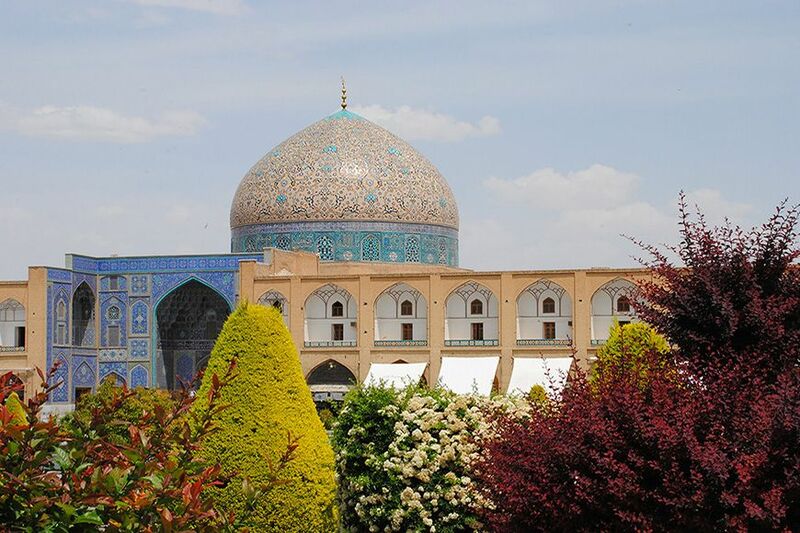 Considered a sacred area and very little visited by outsiders, life here has remained virtually unchanged for centuries, with agriculture and religious festivals marking the rhythm of each year. Setting off on foot we search for the elusive ibisbill on the river banks and Himalayan red deer in the meadows, watch sheep’s cheese being made, see traditional watermills in action grinding buckwheat and cross a footbridge bright with prayer flags as we make our way to the magnificently decorated monastery of Kurje Lhakhang. 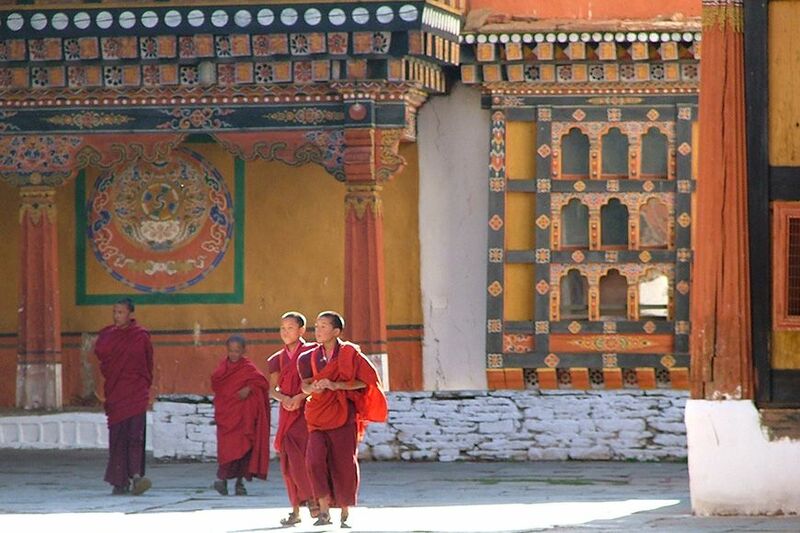 After lunch, we also explore the Jakar dzong, ‘The Fortress of the White Bird’ and the most revered and ancient of Bumthang’s temples, the 7th century Jampa Lhakhang. 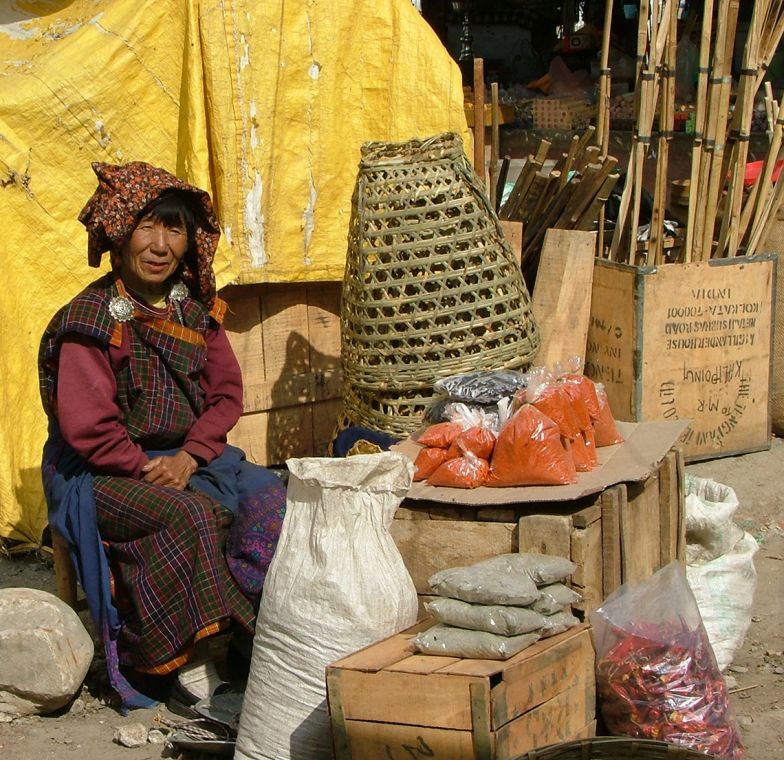 Exploring the remote Tang Valley, we visit a nunnery and an interesting Heritage House. 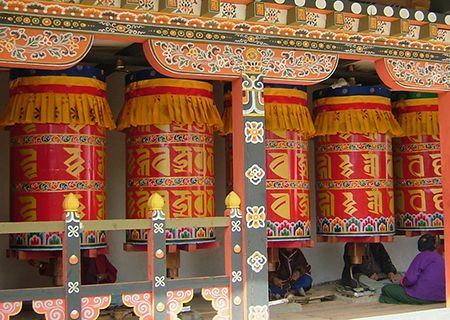 There is an optional (45 mins) walk up to Kunzangdrak monastery, to observe the monastic life. We have the chance to visit a secondary school before returning to our hotel. Dinner tonight may feature momos, the Himalayan dumplings filled with cheese and vegetables. Returning slowly back over the mountains on a morning’s drive (5 hours), we break the journey with pauses to look out for Himalayan griffon vultures and grey langur monkeys, to photograph the many stands of prayer flags and chortens along the route, and to walk especially scenic sections, before reaching our simple riverside lodge in the afternoon. 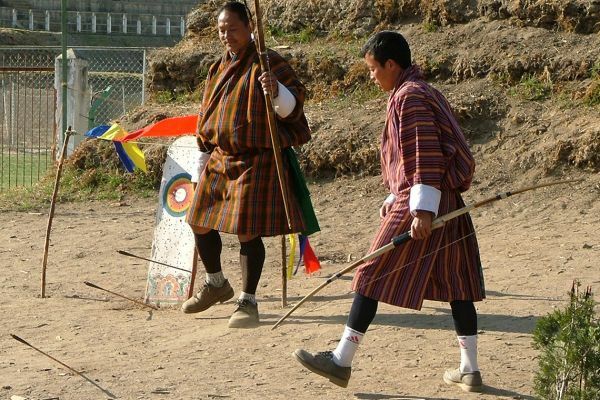 Colourful local festivals are very much part of life in Bhutan and today we travel to watch the festivities held to celebrate the annual return of the black-necked cranes from their summer breeding grounds high on the Tibetan plateau. 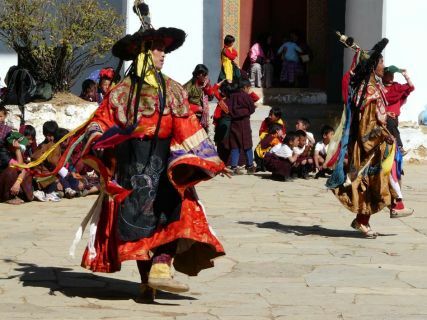 They are held in the Gangtey Gonpa Monastery, founded in 1613, and involve traditional dancing in special costumes, music and singing and drinking butter tea and rice wine. In the afternoon, we walk a nature trail contouring around the side of the Phobjika valley. 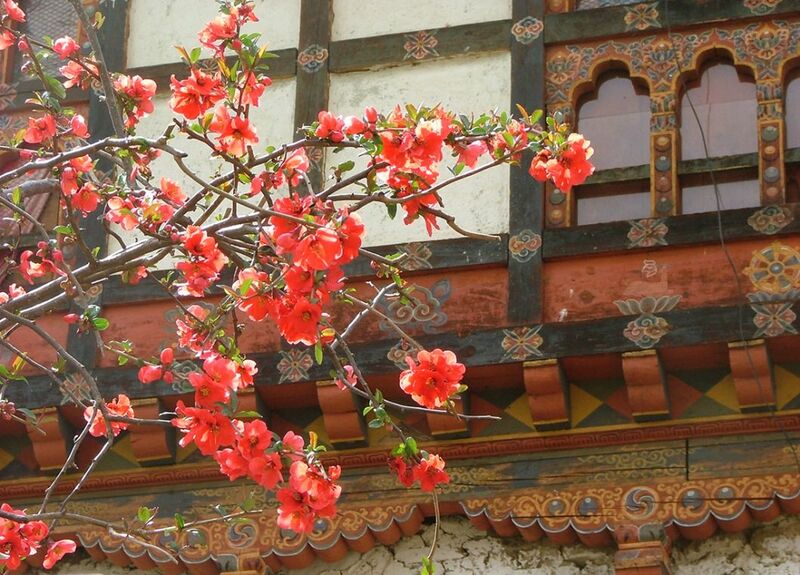 We return over the high passes to the quiet capital, Thimpu, where we visit the National Institute of Traditional Arts and Crafts and Tashi Chodzong, the grand seat of the Bhutan government, with a series of ornately carved courtyards decorated with striking murals and relief sculptures. 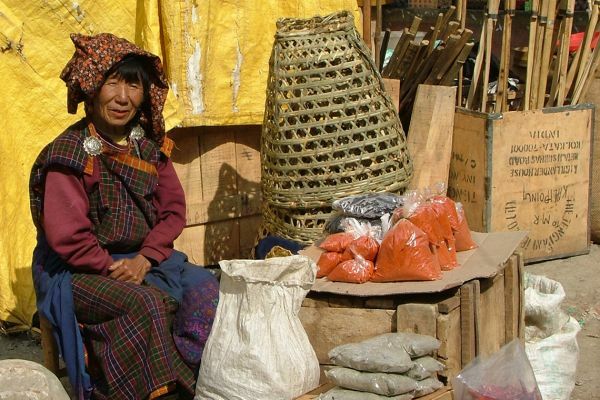 There is time to shop for handicrafts, especially woven silk, tangkha scrolls and masks. A memorable walk (or horse ride) up to Taktsang, the Tiger’s Nest, follows the ancient pilgrimage path with lovely views. The monastery was founded by the legendary Guru Padma Sambhava, who flew from eastern Bhutan on the back of a flaming tigress to subdue demons opposed to the spread of Buddhism. We depart, reluctantly, on the morning flight, seeing Bhutan’s sacred mountain, Jomolhari, and the snow-covered Kanchenjunga, Lhotse, Makalu and Mt. Everest on what must be the world’s most spectacular plane journey. Please note that the single room supplement is imposed by the Bhutanese Government and not by Kudu Travel. If you are willing to share but no other suitable guest books on the trip, we regret that the supplement will be payable. N.B. 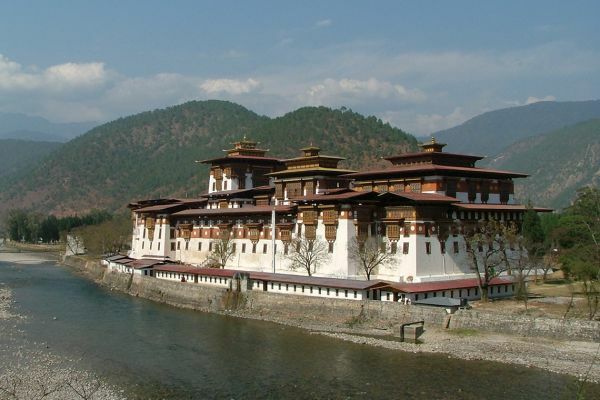 The trip price relates to the Bhutanese Government policy of restricting the annual number of visitors and charging a high daily minimum (which goes to a government development fund). Please be aware that electricity and water supplies may occasionally be erratic and travel arrangements can be disrupted. Kudu Travel will endeavour to do everything possible to ensure a smooth-running tour, but please be ready with your sense of humour and tolerance when travelling in the remote Himalayas. 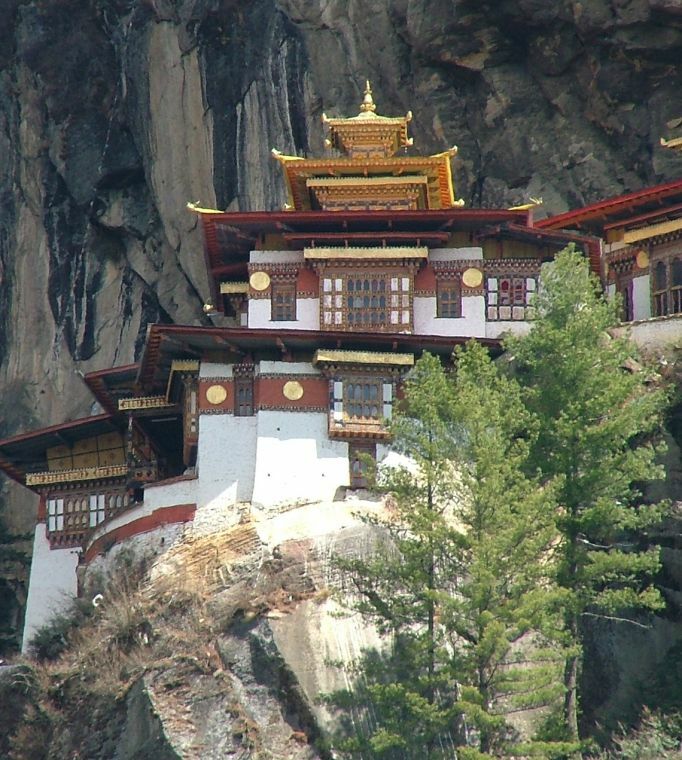 All visitors require a valid passport and a visa for entry to Bhutan. 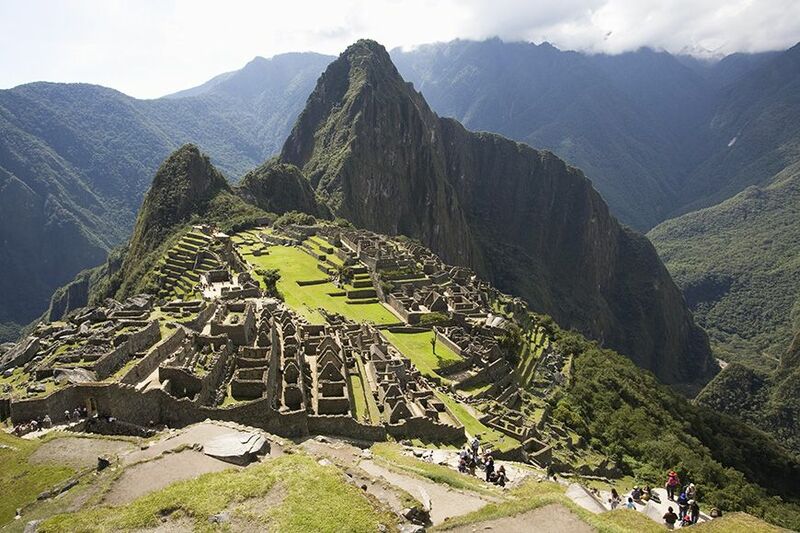 A visa support service is organised by Kudu Travel and the cost is included in the price above. 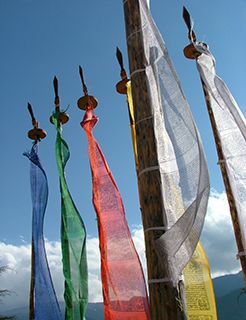 At present, there are no specific and compulsory health requirements for entry to Bhutan, but we encourage you to consult your doctor in good time (at least 6 weeks before departure) about updating your immunisation against Hepatitis A, polio, tetanus and typhoid or anything else they consider advisable. A dental check-up is also a good idea. In view of the altitude of some of the passes we will cross (above 3,000 metres), you may wish to speak with your doctor about the advisability, or suitability, of prophylaxis against potential altitude sickness. You may also wish to check the advice given to travellers by the Department of Health and the FCO. It is essential, and a condition of booking, that you protect yourself with a suitable travel insurance policy as soon as you book a trip. Please ensure that you are specifically covered for walking at high altitude and evacuation by helicopter in case of medical emergency. 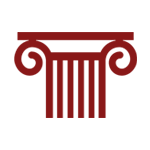 Follow this link for a quote for a policy available to UK residents. 8 walking days, mostly short walks, 1 – 3.5 hours. Lightweight hiking boots with good ankle support are essential and walking sticks/poles are recommended. Travel Arrangements: Paro airport (PBH) is the meeting place for this tour. 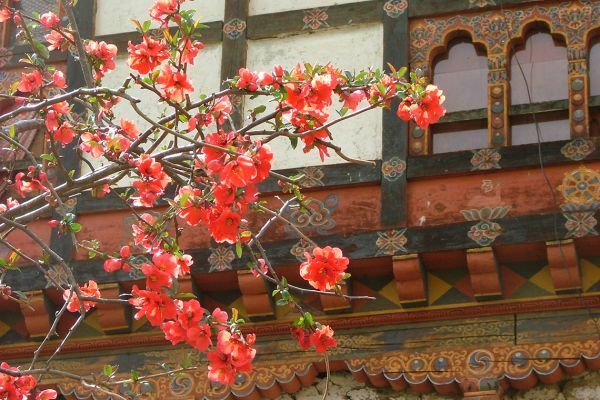 Flights to Paro are operated by Bhutan’s national airline Druk Air and a reservation for your Druk Air flights from Kathmandu or Delhi will be made when you make your booking with us. 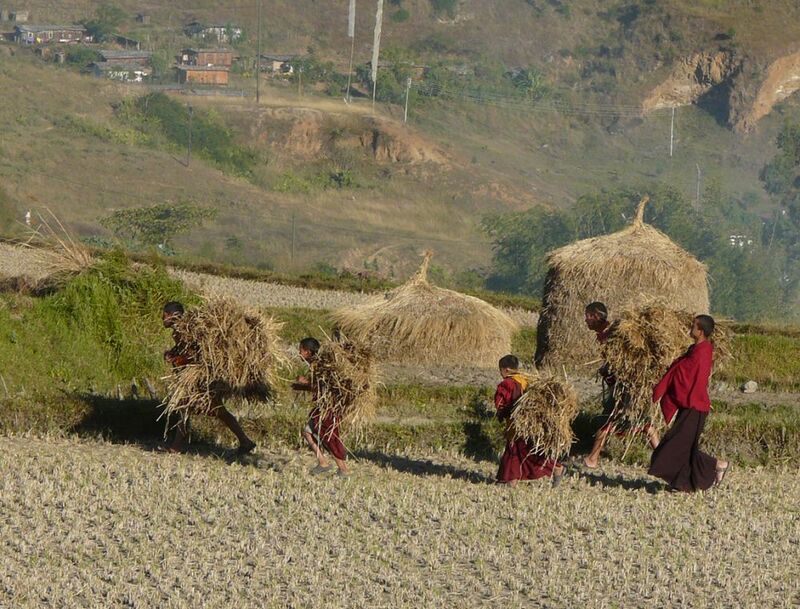 November is high season in Bhutan, noted for dry, clear days. The average daily temperature is 12˚C (with much cooler evenings) and the temperature also drops dramatically (-3˚C) on the high passes.